It’s no secret that many (note: not all) children model their own behavior after their parents. 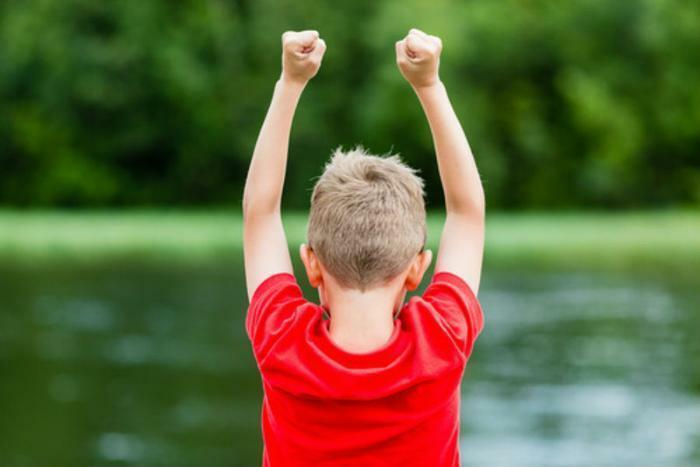 Many observable social and behavioral tendencies are developed this way, but a recent study suggests that a child’s self-esteem is also linked to who they perceive to be the most powerful, or dominant, parent. Researchers from the University of Sussex came to this conclusion after studying 125 English and Indian families living in Britain. Their objective was to determine how varying cultures differ when it comes to power structures within the family. English and Indian families were studied because they are vastly different when it comes to which parent plays a more dominant role. Indian families are much more patriarchal, which is common of more traditional family structures; fathers act as the head of the household and are in charge of discipline. The same family power structure is not typical for English families, or others that fall under the umbrella of “Western culture”. Although these families are still slightly patriarchal, the mother plays a much more important role, especially to children. They primarily take care of the household, care for the children, and are in charge of discipline. By observing these two contrasting family structures, researchers were able to see how self-esteem was affected by who children perceived to be the dominant parent. For example, English mothers who were detached, intrusive, controlling, or lax on discipline raised children who had lower self-esteem. In much the same way, Indian fathers greatly impacted the lives of their children with their actions. “Mothers and fathers play different roles in different cultures – these findings highlight the importance of these distinct gender-based power structures on a child’s self-worth,” said Dr. Alison Pike, who co-authored the study. She goes on to suggest that looking at parenting through a cultural lens is increasingly important for nations with diverse populations. The full study has been published in the Journal of Cross-Cultural Psychology. Can we measure a child's chance of future success by the time they reach kindergarten? Are sports really worth it for your kids?